How he first got work on Broadway. 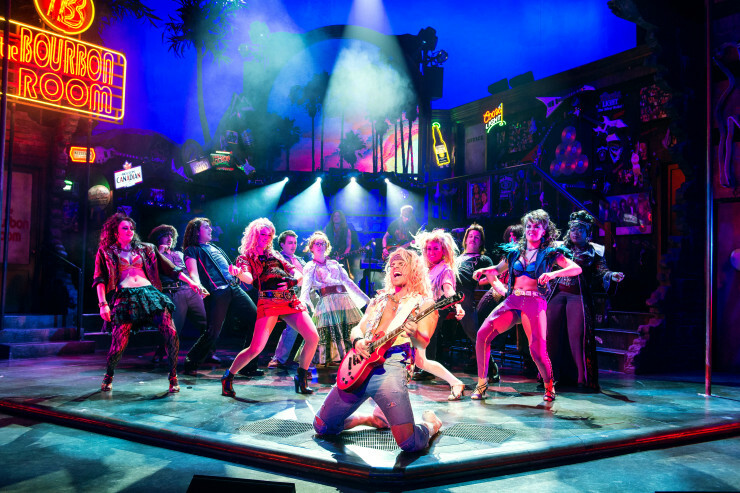 How he got the gig with Rock of Ages. The complicated setup procedure before every show. The sound system design and tuning. How to visualize sound in a room. What it takes to learn an intense Broadway musical. The moment of panic on every show. People want to work with somebody who is a team player, who is going to do what they need to do to make sure their work isn’t compromised, but understands the big picture and approaches problems as a challenge as opposed to an annoyance. Think of it as light. How is it going to reflect off of walls and other surfaces? Rock of Ages is the most difficult show I’ve ever had to mix. It’s unlike any other show I’ve ever done, because you cannot make a mistake. The only criteria [for hiring crew] was, “Is this somebody that you want to sit across from at dinner and have a fun time?” You want to be around people that you enjoy being around. And that’s probably what makes for success, aside from skills. This particular [Digidesign Profile] has more plugins on it than any other Profile in the world. Thanks for sharing this informative interview about the intricacies of mixing a complex musical on Broadway. Daryl, I’m curious how many VCAs you’re manually dealing with at one time on Rock of Ages, including both the actors and the band.